Don’t be fooled! 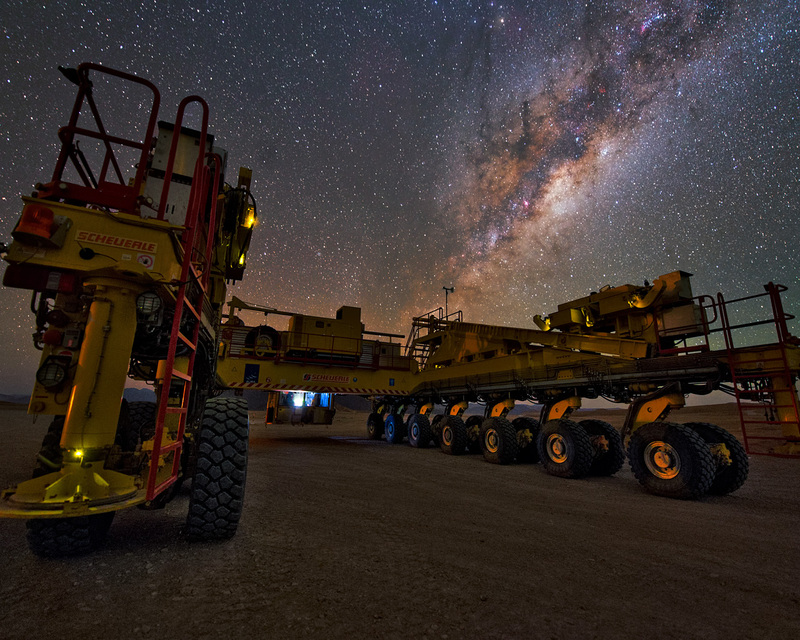 This isn’t a futuristic new Mars rover — though the harsh terrain of the Chilean Atacama Desert could easily be mistaken for Mars. 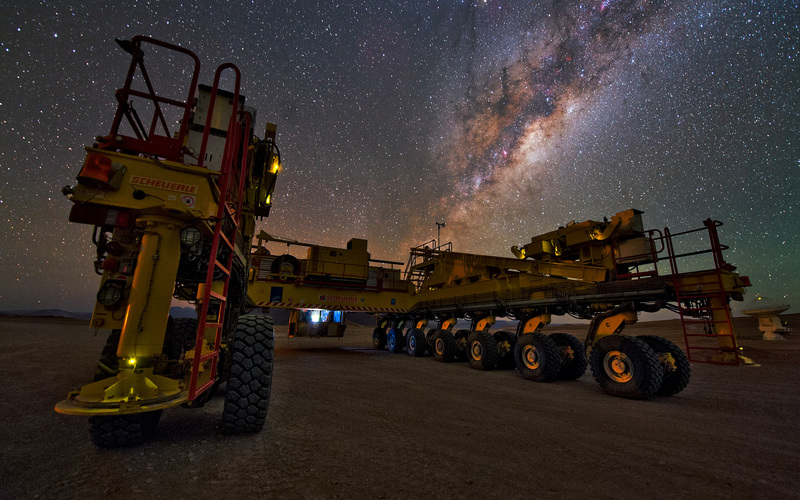 This 20-metre-long, 10-metre-wide and 28-wheeled vehicle is an ALMA transporter known as Otto, pictured bathing beneath the beauty of the Milky Way! This mammoth machine was built in Germany. 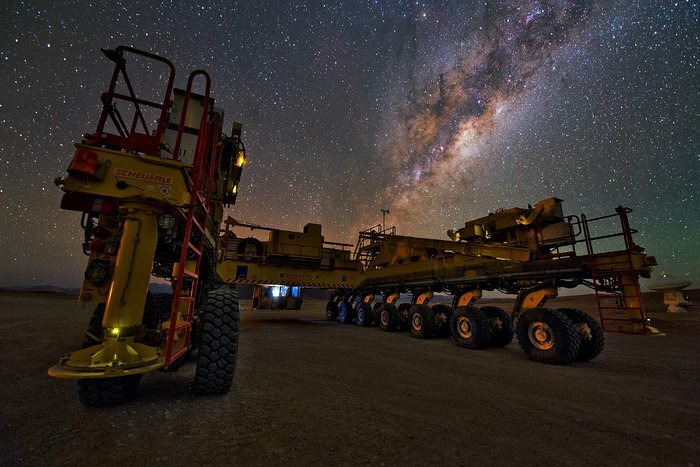 It was specially designed to transport ALMA antennas from the Operations Support Facility, located at 2900 metres above sea level, up to the Chajnantor Plateau, a site some 5000 metres above sea level and to move the antennas between the different available positions. Otto tips the scales at 130 tonnes, and can clock a top speed of 12 kilometres per hour while carrying an antenna — it certainly won’t be breaking any land speed records! Luckily, speed is not the priority during this delicate process. Safety and precision are paramount. Despite its bulk and power, this bright yellow beast can position an antenna to an accuracy of just a few millimetres, ensuring that every antenna is placed on its foundation pad perfectly. 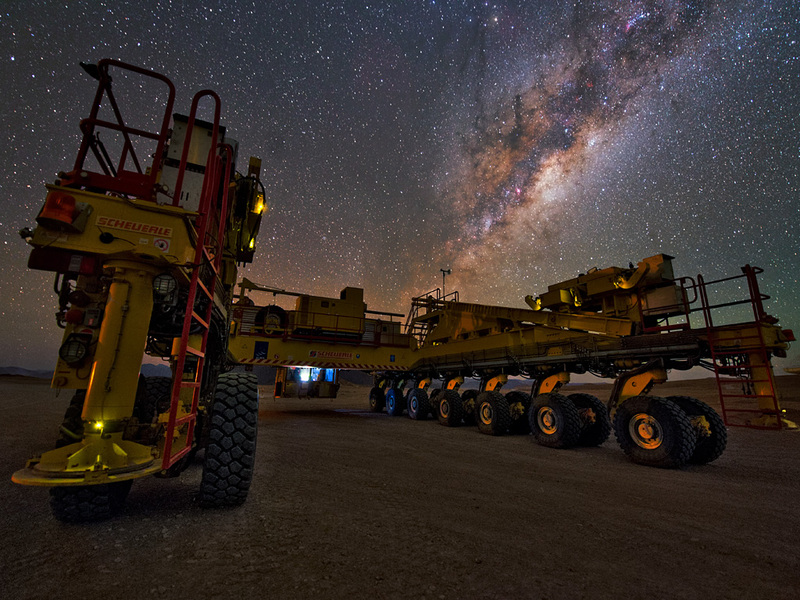 The ability to reposition its 66 antennas is part of what makes ALMA so powerful. You can see Otto in action in ESOcast 56: Gentle Giants in the Desert.